Wargaming’s tale of tank combat after the invasion of Normandy continues in Issue 3's Kindergarten. The intrepid crew of British tankers gets a brief respite from the mayhem of battle to regroup and plan their next move. Their peace will be short-lived, as danger lurks around the corner. The German tankers trying to stop them also face new challenges as they clash with their superiors, especially after a horrific discovery that further stokes the fires of conflict. 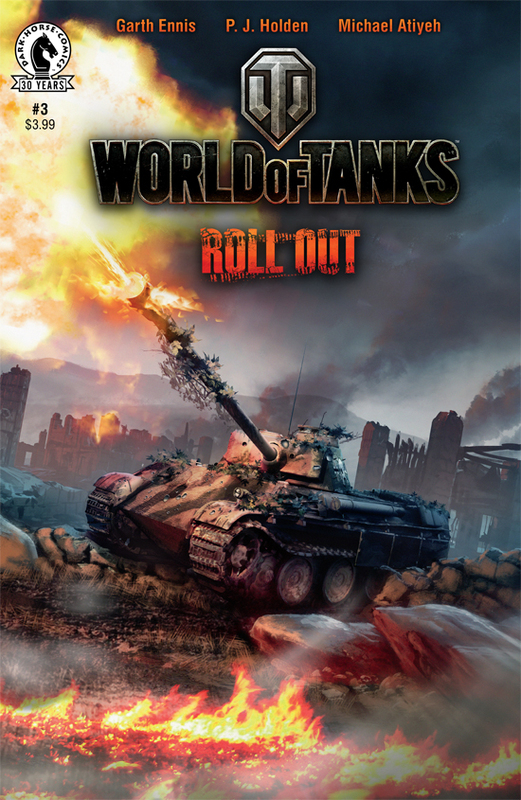 World of Tanks: Roll Out is available in comic book shops across North America, Australia, and Europe as of today. Digital editions of the issue can also be purchased directly from Dark Horse Digital.